(MD-TMW-IV) ROXY DISPLAY Invisible--Ghost Mannequin! 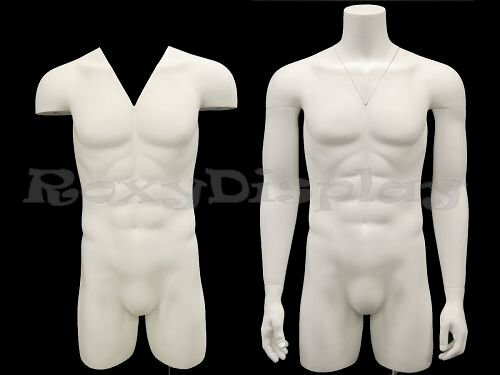 Male Mannequin Torso With nice figure and arms. Removable neck and Arms. Fiberglass material. Steel base included. Matte White Color. Home / Arts, Crafts & Sewing / Sewing / Sewing Notions & Supplies / Dress Forms & Mannequins / (MD-TMW-IV) ROXY DISPLAY Invisible--Ghost Mannequin! 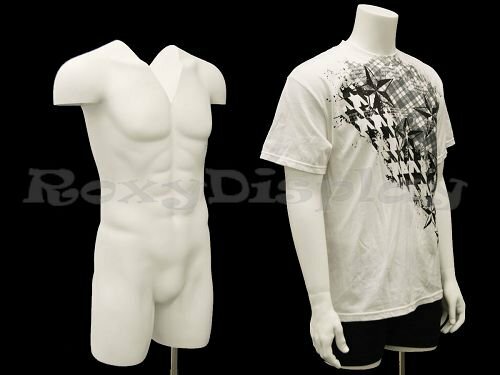 Male Mannequin Torso With nice figure and arms. Removable neck and Arms. Fiberglass material. Steel base included. Matte White Color. 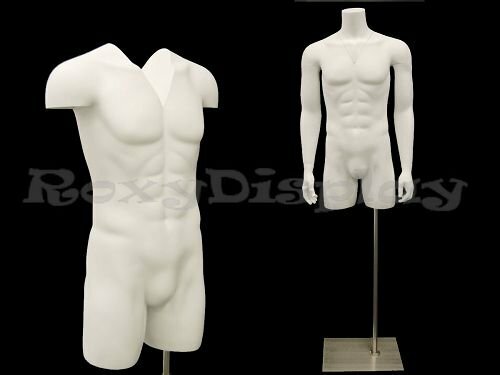 Male Mannequin Torso With nice body figure and arms. Removable neck and Arms. Fiberglass material. Steel base included. Body height: 39" Bust: 38" Waist: 32" Hip: 38.5" Total height: up to 6' Matte White Color. Including base. Came in damaged in the exact place as the other reviews. Quality is not very good and the paint falls off the mannequin very easily, damaging the clothes. Great product for the price. Worked perfect for me. The tiny little cracks and flaws in the finish don't show - especially when covered with apparel. If you expect a manikin with perfect finish, go buy one for $500. the arms are clumsy to get off and on. If you are using it for photos it is very time consuming. 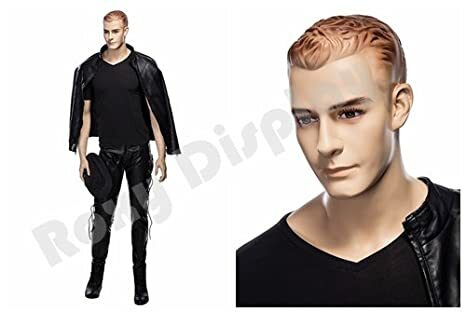 (MZ-WEN1) ROXYDISPLAY™ Realistic Male Mannequin with Molded Hair. Roxy Display Inc.